When it comes to my skin I’m very lethargic about giving it a deep cleanse at the end of the day. I tend to just wipe off all my makeup and hop straight into bed. But with these home ingredients, it’s never been easier to clean skin and fight off spots in just one day. Milk is a natural cleanser as it contains properties such as fat-soluble enzyme lipase and protease, which are able to absorb oil and protein impurities on the skin. 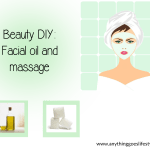 It quickly and easily wipes off gunk from the face to improve your complexion. Milk also contains lactic acid, which removes dead skin leaving you with smoother and more radiant skin. It can also be used for dry skin types as a moisturiser by replenishing the loss of natural moisture factors. It is also used as an anti-aging tool as it contains enzymes, protein, minerals and vitamins that work to reduce fine lines and wrinkles thanks to skin repairing properties. Honey is widely used for treating acne, healing scars, unclogging pores, and to repair and protect against UV rays. Honey contains antibacterial and antifungal properties, which aids in treating acne and protecting against environmental factors and chemical reactions. It is also packed full of antioxidants which reduces aging and repairs skin, as well as containing lots of nutrients and enzymes to help nourish and heal the skin. Honey is also a natural humectant, meaning it naturally draws moisture to the skin by restoring hydration to the deeper layers. As well as all this, honey contains anti-inflammatory and anti-microbial properties to calm burns from the sun and aids recovery by rejuvenating the skin and protecting against UV rays. Oats contain saponin, a natural cleanser. It is mainly used to calm eczema as it has powerful moisturising properties, restores skin barriers, and reduces itchiness and inflammation. Oats contain beta-gluten, which aids the skin by moisturising deep into the skin, making it suitable for all skin types – especially dry skin. Oats can also improve collagen and the activation of immune cells within the skin to help repair and protect against sun damage, pollution and harsh chemicals. It also contains lubricating fats that provide protection from UV rays. Add all these beneficial ingredients together to make one powerful and tasty face mask. In a bowl add the oats, honey and milk together and mix well to create a paste. Apply all over your face avoiding the eyes. Relax for 15-20 minutes while the ingredients sink into your skin removing any dirt and repairing any damage. Try adding a few drops of lemon juice to the mixture to boost vitamin C and restore elastin.